During Succot prayers, I noticed this father and son team. 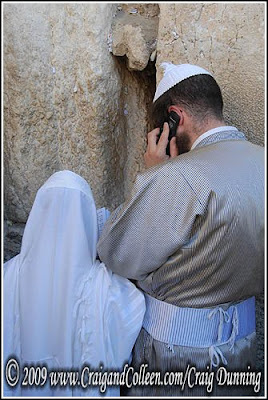 The son was praying in the more traditional way: prayer shawl in place, prayer book in front, and facing the Western Wall. The father, on the other hand, appeared to be phoning in his prayer. Shouldn’t it have been the other way around?